In a blow to the Supreme People’s Court (SPC)’s efforts to bolster its prestige and that of the Chinese judiciary, a ruling recently published on the SPC’s court database reveals that Ms. Zuo Hong, formerly a judge (with division level rank) in the SPC’s Trial Supervision Tribunal was convicted of accepting bribes. The published ruling omits her full name and that of others involved in the case. The initial judgment by the Beijing Eastern District People’s Court (District Court), dated 10 March 2016, from which she appealed was upheld by the #2 Beijing Intermediate People’s Court on 31 May 2016. Because the amounts involved were small (approximately RMB 70,000, particularly in comparison to many of the other corruption cases that have come to light in the last two years), her one and a half year sentence was suspended for two years. Although she avoided a jail term, she will be unable to draw on her state pension and cannot be involved directly in the legal profession. Judge Hui and Mr. Yang were classmates. Judge Zuo, who was contacted by Judge Hui, involved herself in a private lending case in the Shaanxi Higher People’s Court in which a Zhongxia subsidiary was a party (the related judgments are listed in this article). The SPC had ruled on the Zhongxia subsidiary’s re-trial petition and remanded to the Shaanxi Higher People’s Court for further proceedings. During 2014, Judge Zuo traveled to Xian four times on the matter, where she met with Judge Hui and Mr. Yang. Judges Zuo and Hui met with their contacts at that court to set out Zhongxia’s position and to have those views conveyed to the judges directly involved. According to the judgment, the Shaanxi judges met with Judges Zuo and Hui because she was from the SPC and given the hierarchical relationship, it was awkward to refuse to meet. The case was further discussed by the collegiate panel and judicial committee and eventually remanded to the Xian Intermediate Court for retrial on the basis that the facts were unclear. According to this article, the case came to the attention of the Supervision Bureau of the SPC in January, 2015, when its personnel were investigating other cases and her iPhone and BV bag came to their attention. In April, 2015, the Supervision Bureau opened an investigation file for her case. Judge Zuo cooperated with the Supervision Bureau’s investigation and handed over the money and bag to investigators. Her case was transferred to the procuratorate on 12 June 2015, when she was taken into custody. She was arrested at the end of that month. On 1 February 2016, the Communist Party Central Political-Legal Committee designated her case as one of seven typical cases of leadership interference in the judicial process. By that time she had been expelled from the Communist Party under its disciplinary procedures. At the end of August 2015, Ms. Zuo was formally removed from office. It appears from Judge Zuo’s case that the Central Political-Legal Committee’s need to issue a set of typical cases of leadership interference to scare judges and other members of the political-legal establishment into compliance trumped respect for the formalities of the operation of the criminal justice system. (It is unclear whether the Central Political-Legal Committee considered the impact of that lack of respect on retaining highly qualified judges (and on other legal professionals)). (This blogpost highlighted the first set of these cases). It is likely that the Central Political-Legal Committee relied on the Party disciplinary decision in her case (see a description here) to make a determination that her case should be made public. Senior court personnel involving themselves in cases, whether motivated by friendship or bribes, is an ongoing problem. What the two judges did is prohibited by SPC 2015 regulations and previous SPC rules. It is likely that Judge Hui has also been punished for his role in this. It seems unlikely that the Shaanxi judges were punished, as the case does not show that the internal advocacy did not affect the eventual outcome. The case also illustrates that structural aspects of the court system have left space what is now considered “improper interference” by senior judges and were previously common practice. It also shows that internal court procedures in this case seem to have operated to blunt that interference. judicial corruption cannot be divorced from its social context…It is unrealistic to expect judges to operate completely outside the social environment, especially in the absence of a workable system to reduce the incidence of judicial corruption…certain shortcomings of the court system leave the door open for corruption. For instance, the flexible use of the re-trial system [trial supervision] leads to the easy re-opening of cases if influential people wish to interfere in a case.This not only diminishes the finality of a case but also creates opportunities for using personal networking to change a court’s judgment. 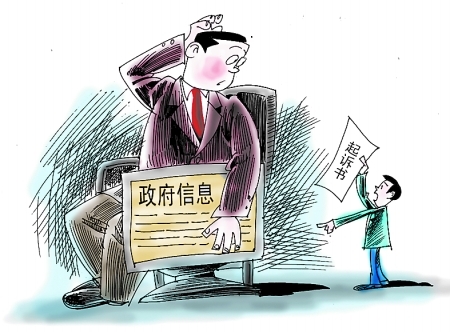 Furthermore, the relatively law judicial salary makes judges an easy target for corruption…In modern-day China, a profession’s income is too often linked to the profession’s social status. Judges’ low salaries are not conducive to building self-respect amongst the profession and, moreover, they constitute a major ground for fostering judicial corruption. How low was Zuo Hong’s salary, that she thought it worth her while to risk her freedom and career for USD $8000? Case law Chinese style–where is it going? 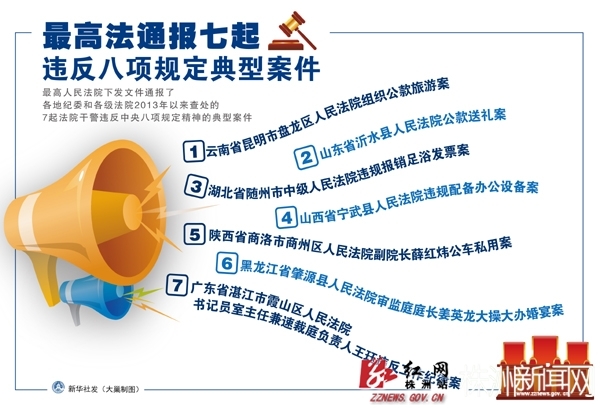 Strengthen and standardize judicial interpretation and case guidance, and unify standards of applicable law (加强和规范司法解释和案例指导，统一法律适用标准). “Expand fully the important role of guiding cases and cases for reference”. This blogpost will look at how the Court leadership understands Chinese “case law” and how it sees case law to be useful to the judiciary. 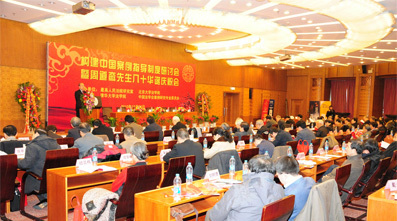 President Zhou Qiang’s introduction incorporated both guiding cases, as designated by the Supreme People’s Court under its 2010 regulations, and model/typical cases. issues facing the guiding case system. Judge Hu Yunteng clarifies the point that many other commentators and I have made, that cases selected as guiding or model cases are not the entire judgements, but have been curated and edited. Judge Hu points out that the title, document number, method of selection and approval, and most importantly, the authority of guiding cases is different. Guiding cases, unlike model or typical cases issued by the Court or lower courts, must be referred to by all courts in similar cases, and lower courts may refer to guiding cases in the reasoning section of their judgments. Chinese judges must focus on the important points of guiding cases, which have been approved by the judicial committee of the Supreme People’s Court, and secures their unifying role in the Chinese court system.They must only be used in similar cases. Judge Hu distinguishes Chinese guiding cases from Anglo-American precedent, because guiding cases can only be issued by the Supreme People’s Court. He says that judges may refer to guiding cases in their judgments and distinguish the case before them from a relevant guiding case. The relationship between judicial interpretations and guiding cases, and in which cases guiding cases rather than judicial interpretation should be relied upon is unresolved. Second, the issues in the guiding cases generally are not breakthrough cases and are more “damp squibs.” Judge Hu suggests that the guiding case system address more controversial cases. Third, it is unclear to the lower courts when guiding cases must be used, and the consequences if a lower court fails to use a guiding case on point. Fourth, he admits that too few guiding cases have been issued and suggests that the Court issue an number of guiding cases equal to judicial interpretations. Peking University Professor Liang Genlin–“the position of guiding cases in the legal system and how they can be distinguished from other cases is chaotic”–clearer rules are needed. Li Guifang, partner, Deheng Law Office–guiding cases are needed. Publicize the accomplishments of the lower courts. Distributed as political education or have political purposes. Provide models of correctly decided cases. Finally, it appears likely that the issue of the authority of guiding cases vs. other types of cases will be set out in regulations at some point. Open government information litigation in China–an oxymoron? To show that open government information litigation in China is not an oxymoron, and send messages to the lower courts, government, and public, the Supreme People’s Court (Court) in a press conference on 12 September, released statistics and typical open government information cases brought under China’s version of the US’s Freedom of Information Act (and its counterparts elsewhere in world). For the first time, the Court issued 10 typical (model) open government information cases, although it had issued a guiding case earlier. (The cartoons hint at the difficulties). The underlying issues are relevant to many, including foreign investors and their lawyers. 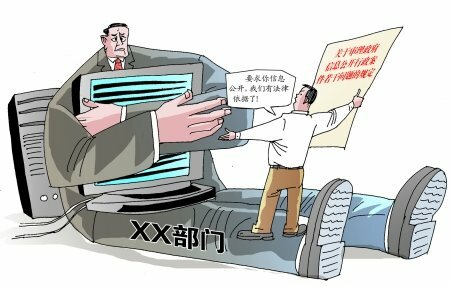 As others have described, China’s 2007 Open Government Information Regulations give individuals and groups the right to request government information and to challenge the failure to provide it in court. In comparison to the prevalent refusal of government departments to release government information, a small but increasing number of people have dared to take government to court. In particular (as highlighted by a variety of publications, NGOs, scholars and foundations), China’s environmentalists and environmental groups have been very active in using the regulations and litigating the failure of local government to release environmental impact statements. What are the “take-aways” from the press conference? Possible rationale for releasing the cases now. The Court revealed that the number of open government information cases are increasing, although the numbers are small in comparison to commercial cases. 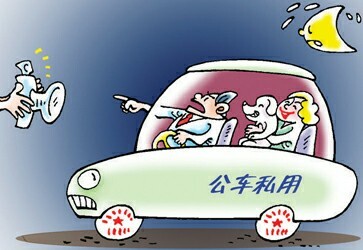 In 2013, the Chinese courts dealt with almost 5000 open information cases (despite the difficulties of suing government to release information highlighted by the cartoons). These cases account for the greatest proportion of administrative cases. 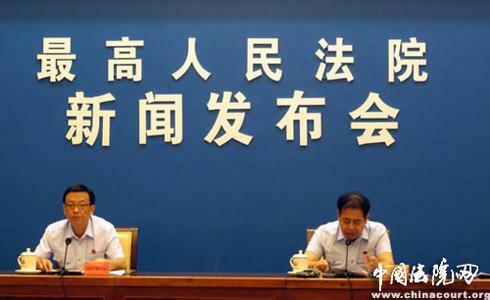 Li Guangyu, deputy head of the Court’s administrative division said that the courts have helped protect the individual’s “right to know.” In understanding the demands of the Chinese public for more government information (and the frequent refusal of government to provide it and comply with legal requirements when doing), these cases represent the tip of the iceberg. Most people will accept, rather than challenge a government refusal. Why did the Court issue these cases? In May, 2014, the Court formally announced it would issue model cases monthly (see the earlier blogpost on the subject). It has decided that issuing typical/model cases helps to guide the lower courts before judicial practice has settled enough and Court manpower permits issuing a judicial interpretation. The single Guiding Case that the Court issued early addressed a narrow set of issues, and issuing these cases provides guidance on a wider range of issues. The Court is sending a message to government departments, including central government ministries to comply with obligations under the Open Government Information Regulations to set out the legal basis for the decisions and their rationale, or risk having leading officials sitting in the defendant’s seat in a courtroom. The Court is signaling government to increase government transparency (within the many limitations imposed) and improve their open government information procedures or risk losing court cases. The behavior of government departments, including on the central level, in dealing with open government information requests seen in the cases indicates that educating government officials on compliance with the legislation is needed. The cases are needed guidance to the lower courts. Because the Open Government Information Regulations are not specific enough, they create difficulties for the lower courts trying to apply them to a large range of cases raising many different legal issues. The 2011 judicial interpretation does not deal with the principal recurring issues. These cases help unify judicial standards on a range of issues. The cases send a message to the general public that the courts are protecting the interests of the individual against government action (or inaction) and that these disputes can be resolved through litigation rather than petitioning. The cases provide a heads up to companies and their lawyers that members of the public (or competitors) may attempt to access their information submitted to or relating to their transactions with government. What are the 10 cases? Case one (relates to the release of an environmental impact statement. According to earlier reports, many open government information cases have involved citizen demands for the release of this information. Case two, Xi Mingqiang v. the Ministry of Public Security. As could be expected, the information requested was classified, and the court refused release. It is unclear whether the court considered whether the information had been properly classified. Case three, Wang Zongli v. the Tianjin Heping District Real Estate Administration Bureau (Tianjin Bureau), relating to a major social issue, the expropriation of real property and compensation of owners. The plaintiff demanded the release of the contract signed by the developer with a center under the Bureau for payment of government fees for expropriation (which would reveal the gap between the compensation to owners and the amount paid to government (issues discussed here). The court determined that the Tianjin Bureau had failed to address whether the information requested by the plaintiff was considered a commercial secret. Case five, relates to issues in case three, the expropriation of rural land and the compensation of farmers, and the refusal of local government to release documents related to expropriation of land. These issues already account for many “mass incidents” and are likely to becoming even more important with the government’s planned urbanization of the countryside. Case six: Zhang Hongjun v. Rugao Municipal Price Bureau, in which the plaintiff challenged fees imposed by a township government, raising issues of access to government internal information. Case eight, a case against a Zhejiang Township government, in which the plaintiff sought details about land use and expropriation of property, raising issues of access to information created before the Government Open Information Regulations became effective. Case nine, Zhang Liang v. the Shanghai Urban Planning and Land and Natural Resources Bureaus, in which the plaintiff sought access to payment concerning 116 parcels of land granted by the government. It is yet another case relating to access to information about urban land use, and the government refusal to understand and reply flexibly to a request for information by an ordinary citizen. Case ten: If You Like Marriage Company Ltd. v. the Ministry of Civil Affairs, requesting information concerning the registration of the China Society for the Research of Marriage and Family (under the All Women’s Federation). It is yet another case in which a government department (this time a central government department), failed to set out the legal basis and rationale for refusing to release government information. The Court may have several reasons for publicizing these cases now. They are related to the ongoing drafting of the overhaul of the Administrative Litigation Law. Government control of information, the individual’s right to know in the Internet age, and the role of the courts vis a vis government are major issues that may be addressed in the upcoming Fourth Plenum of the 18th Central Committee of the Chinese Communist Party. That these issues are on the Party agenda is indicated by the fact that a Central Party School official published on these issues earlier this year. If others would like to contribute further analysis of these cases or further information about any of them, please use the comment function.